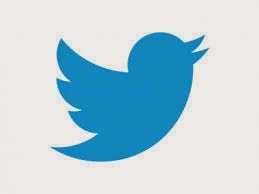 Hey All! I'm back from a long and relaxing vacation! We went to Florida and soaked up every bit of sunshine and enjoyed every wave of ocean we could. We were there for a week, but it was too short. I could've sat and listened to the ocean forever. It's just such a tranquil sound I can't get enough of. But like all great things, the trip had to come to an end. So we headed back home and spent some time with family. My Grandpa-in-law turned 89 yesterday and we all got together to celebrate. My baby sister graduated from high school (wipes away tears) and we enjoyed congratulating her at her graduation party. And we got to visit some good friends, and I got to go to our local water park. All in all it was a great two weeks! For my recent birthday she bought me a Springform cheesecake pan because A) she knows how much I love to bake and B) she loves cheesecake and secretly hoped I would make her one. Well wish granted! 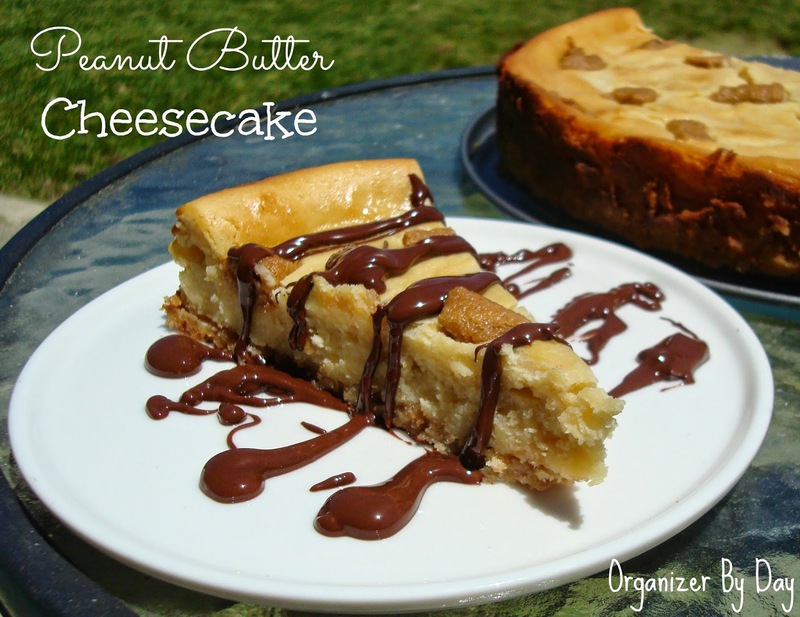 Since I love her so much I decided to make her a scrumptious Peanut Butter Cheesecake! First I baked a homemade crust made out of vanilla wafers. I had used them in a recipe a while back and wanted to use them up before they got stale. 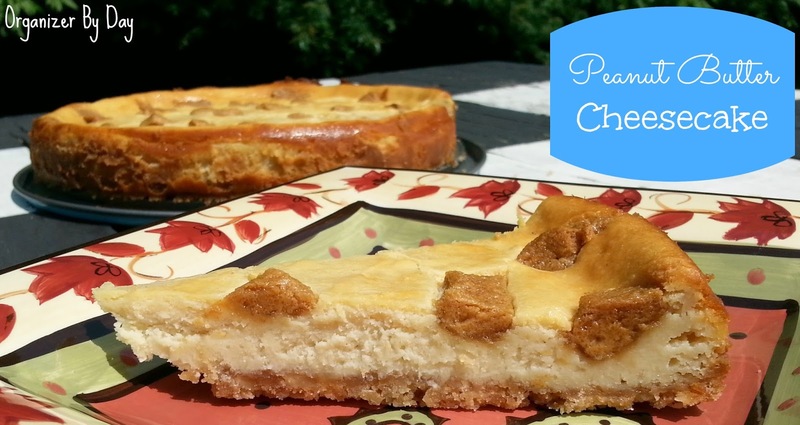 The vanilla mixed with the cinnamon and the butter made the cheesecake have an amazing sweet crunch! I definitely recommend using vanilla wafers at least once in your life for your cheesecake. You won't regret it! Then I added my cream cheese/peanut butter filling and topped it with pieces of my peanut butter concoction I used in these brownies. It was the perfect addition to my cake! And of course I had to add some chocolate...because what goes better with peanut butter than chocolate?! Combine all crust ingredients in a medium bowl. Stir until everything is combined. Press into a Springform pan or pie pan with your fingers or using the back of a spoon. Bake for 7 minutes. Remove and allow to cool while you make the cake part. Reduce oven temp to 350 degrees, also. Combine the cream cheese, peanut butter, sugar and eggs by hand in a large bowl. Add in the flour and stir until combined. Then stir in the vanilla. Add the heavy cream and whip for about a minute, or until there are no more clumps and the batter is smooth. Pour over the crust. Combine all the ingredients together. Cut into small pieces and place them on top of the cream cheese batter. Bake at 350 degrees for about 40 minutes. Remove and allow the pan to cool before placing it in the fridge. Refrigerate overnight or for at least 4 hours. Remove the cake and run a knife along the edge, release the Springform pan and VOILA! Awesome cheesecake! I want to say thank you to my bestie Kyra for the amazing gift and I hope you all enjoy this cake as much as we did! 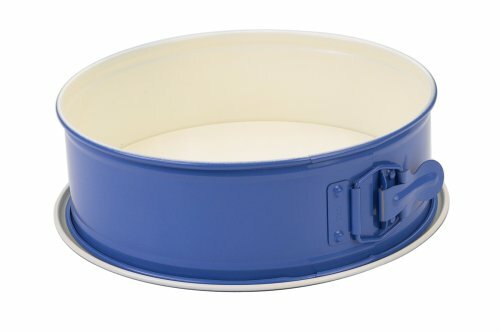 Here's a link to a Springform pan if you need one! So got any fun summer plans? Going on any great trips? Love to hear about them! 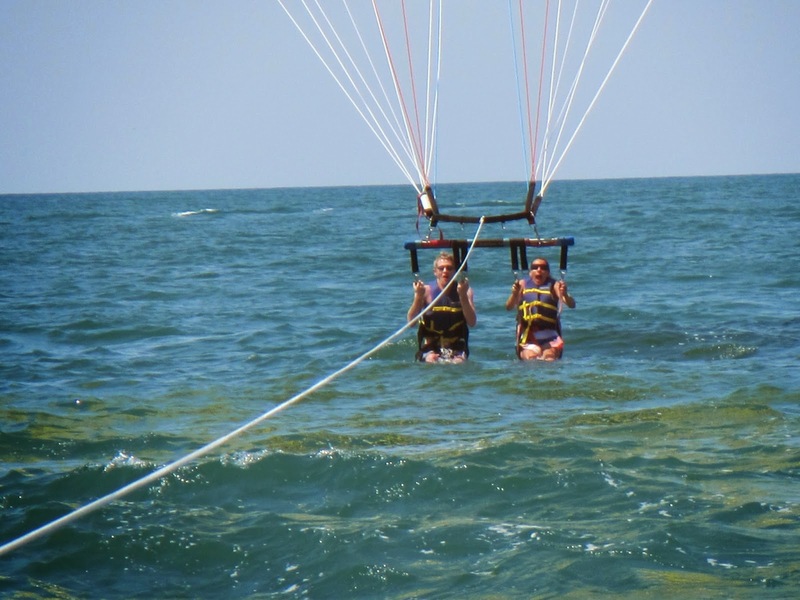 Here's a picture of me and the Hub getting dragged through the ocean while parasailing! I was terrified! #firsttimer! That looks absolutely amazing! Yum Yum Yum! Looks scrumptious!! Thanks for sharing! This looks amazing! Chocolate and PB is one of my favorite combos. 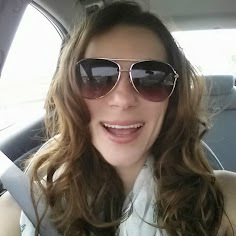 Thanks for linking up with Hump Day Happenings! Can't wait to show my daughter this! Her favorite in peanut butter pie. Thank you for sharing it on our Four Seasons Blog Hop. Wow, this looks SO good! 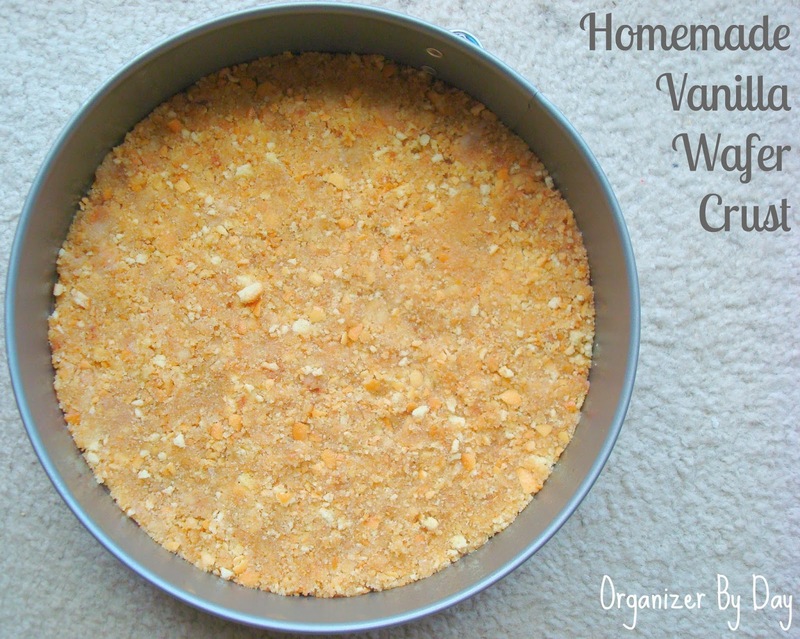 The vanilla wafer crust alone would be a delicious treat. Then you just add some PB and it's over the top! Pinned! Visiting from the Best of the Weekend Link Party. This look DELICIOUS! I know my hubby would love this. Oh my! That looks fantastic! Pinning! 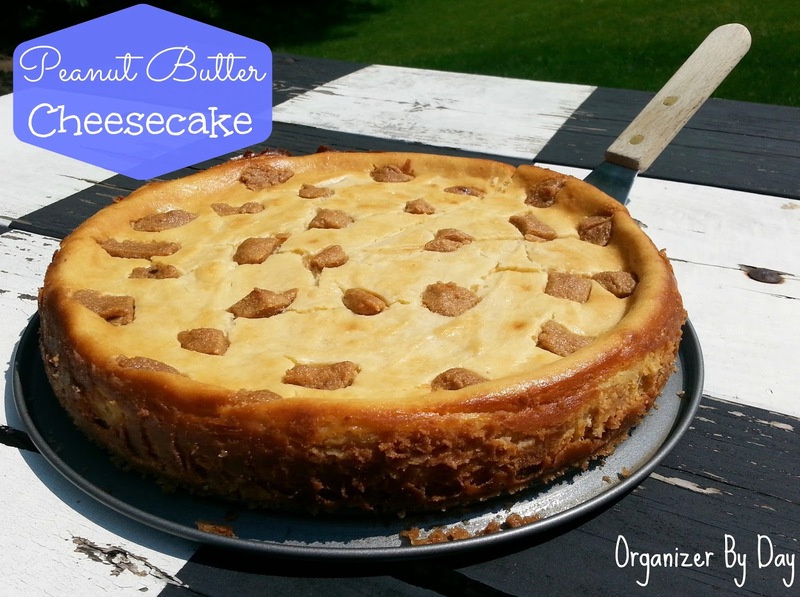 Elie, wow, this cheesecake looks and sounds beyond delicious! Thank you so much for sharing it at Best of the Weekend and pinning! I'm happy you had a wonderful vacation - happy Sunday and enjoy a fabulous week! This looks so good! Thank you for sharing this with us at the HomeAcre Hop!